Tommaso Caprotti reflects on our recent public lecture with speaker Andrea Lorenzo Capussela titled ‘The Political Economy of Italy’s Decline’, which took place at LSE on Thursday 11 October 2018. Italy has been at the forefront of European political debates over the course of 2018, especially since the Italian coalition government led by the Lega and the M5S came to power in June. Disagreements between the so-called “populist” government on the one hand and the leading centrist Governments of the EU have revolved primarily around issues of migration, and more recently, deficit spending and Italy’s proposed economic policies. Certain observers from the politically “reasonable” centre have interpreted this development in Italian politics as the final step before a collapse into political disaster, anticipating a possible Greek-like crisis. Yet Andrea Lorenzo Capussela, an economist who in the past lead the economics unit of Kosovo’s International Civilian Office, and was the adviser to Moldova’s minister of economy and deputy prime minister on behalf of the EU, argues that Italy’s decline has profound roots. Presenting his book, The Political Economy of Italy’s Decline, in a public lecture hosted by the LSE Department of Government, Capussela reflected on the historical political-economic factors which have led to the present Italian economic quagmire. His analysis commenced with a look at Italy’s TFP (Total Factor Productivity) trend over the past decades. This variable approximates technological and organizational progress, and is considered a critical component of long-term growth. Italy, of course, entered the 1950’s and 1960’s as a markedly underdeveloped country with respects to its European counterparts, in part explaining its high rate of TFP growth up to its peak in the early 1980’s. On the other hand, Italy’s convergence to the productivity frontier, taking 1980 as the benchmark, has today dropped by approximately 30%. Germany’s, by contrast, has increased by the same measure. Though, as Capussela remarks, a decreased rate of TFP growth is a general trend across western countries, Italy’s TFP drop remains exceptional. Following the 1970’s, as Italian TFP growth decelerated, the relative weight of capital growth increased, yet it ultimately did not, and still doesn’t, counterbalance the fall of TFP growth, leading to a decrease in aggregate growth. Italy’s growth in the 1993 – 2007 period was approximately half of the Eurozone average. Indeed, Capussela remarked also that a plausible measure of the misallocation of resources has worsened over the same period. Product market competition and the competitiveness and fluidity of factor markets (labour and capital), if sustained, should theoretically lead to a decrease in misallocation. Whilst product market competition has grown in recent decades, chiefly due to the EU single market and the Euro, misallocation has increased across the board, indicating that frictions in the factor markets hamper the Italian economy. Following this analysis, one might wonder where it all went wrong. Italy, as Capussela decries, failed at the peak of its success. Its institutions – defined as the system which governs the product and factor markets, and shapes the incentives to invest ands innovate – ultimately failed to sufficiently develop the conditions favourable to development in an economy which was no longer comparatively backward. This, according to Capussela, is due to several interrelated political and economic factors. Amongst several examples he mentions is the low skill supply produced by the educational system, which is paralleled by low demand from firms, leading to a vicious circle. Likewise, rampant corruption, tax evasion, and clientelism which pervade the Italian socio-economic sphere appear to be part of similar vicious circles. The tendency of majority shareholders to predate on minority shareholders, Capussela explains, renders equity financing less plentifully available and more expensive. Again, we face a vicious circle which hampers innovation. The prospect of escaping these vortices may seem minimal. Institutions are embedded within the “social order” of a country – political-economic equilibrium within a society effectively shapes the wants and needs of individual citizens, directing their political choices and behavioural attitudes. When this equilibrium is stable, Capussela argues, its internal mechanism is able to reproduce itself regardless of reforms which may be implemented to change the system. Italy, especially following the 1990’s, has been drowned in structural reforms, yet their tangible effects have been unexceptional. Why were these problems not overcome politically, one may ask? Precisely because of that equilibrium. If public service efficiency declines, the incentive to pay taxes decreases, and obversely, clientelism increases. So political accountability declines, and tax evasion and corruption rise. Furthermore, according to Capussela, Italy has built a “system of selective inclusion” since the 1950’s, whereby the interests of particular sectors of society were aligned with those of the main beneficiaries of this system – for example, by appeasing certain professional categories with pension or welfare schemes, instead of developing a genuinely universalist welfare system. 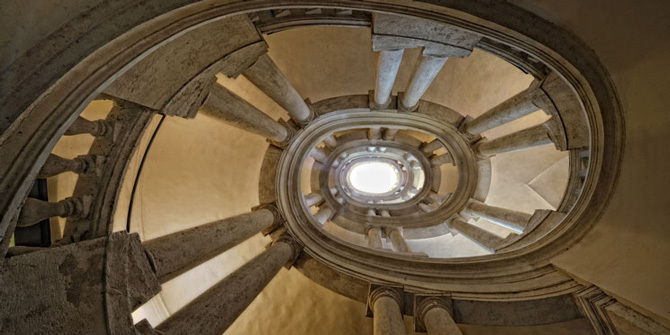 The circularity of the system is transparent, and unfortunately, the possible escape-routes indicated by Capussela throughout his lecture seemed frail at best. His central suggestion seemed to be that the unfair equilibrium be broken by guiding citizens towards the realisation that a better equilibrium is possible, one of legality, maximisation, efficiency, and growth. Yet, such a solution seems quite tautological, especially considering that, for example, education spending in absolute terms has decreased by close to 20% since 2008. Discussant Bill Emmott’s remarks were, likewise, quite unsatisfactory. Whilst agreeing with Capussela’s diagnosis, he ventured into uncharted territory by suggesting that the Conte Government seems to be a positive development en route to a shift away from institutional dysfunctionality. In fact, the uncomfortable alliance between the Lega and the M5S reproduces precisely the system of selective inclusion which Capussela identifies as damaging – for example, the Lega proposes tax-cuts which disproportionately favour middle to upper-middle class constituents, the majority of which happen to be located in regions where the Lega is strongest – whilst the M5S is pushing through a quasi-basic income, targeting the wants of the lower-middle to working-class constituents, which similarly happen to be concentrated in regions where it is strongest. Needless to say, these proposals would require further deficit spending, an evident obstruction to long-term growth. Nonetheless, the downsides to Capussela’s proposed solutions (which presumably would be more convincing if one reads the book), might be simply due to the sheer complexity of the situation at hand. Italy’s decline is indeed exceptional, but that does not preclude the possibility that its exceptionality might lay in its prematureness, rather than its specificity. After all, we Italians were the laughing stock of the West when Silvio Berlusconi was our Prime Minister – I suspect most of those who were laughing back then, might have less of a reason to do so today. 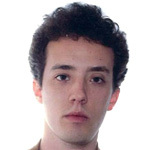 Tommaso Caprotti is a postgraduate student reading Political Theory. His research interests include the intersection of globalisation and sovereignty, migration, and politics more generally.